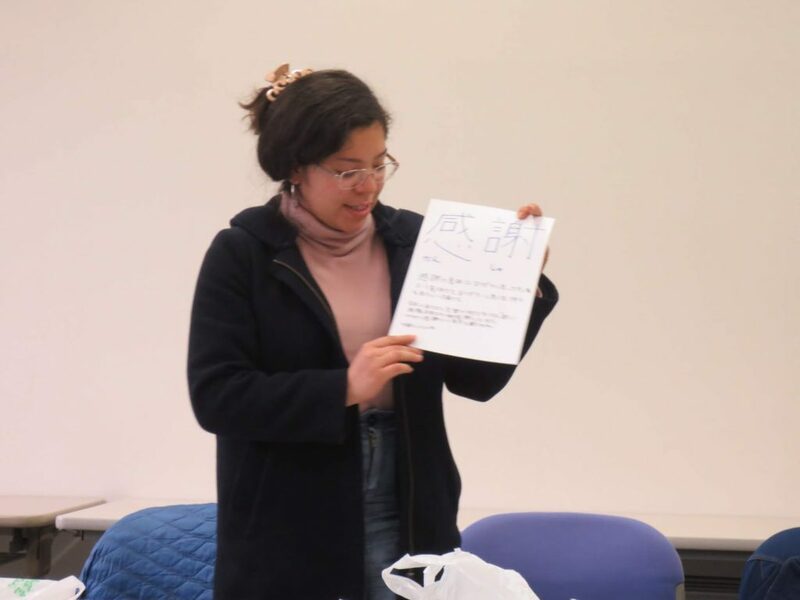 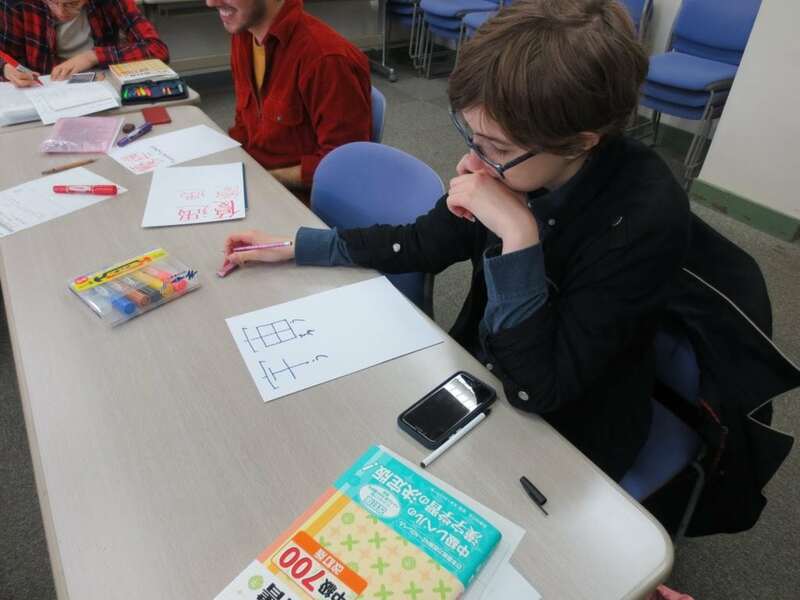 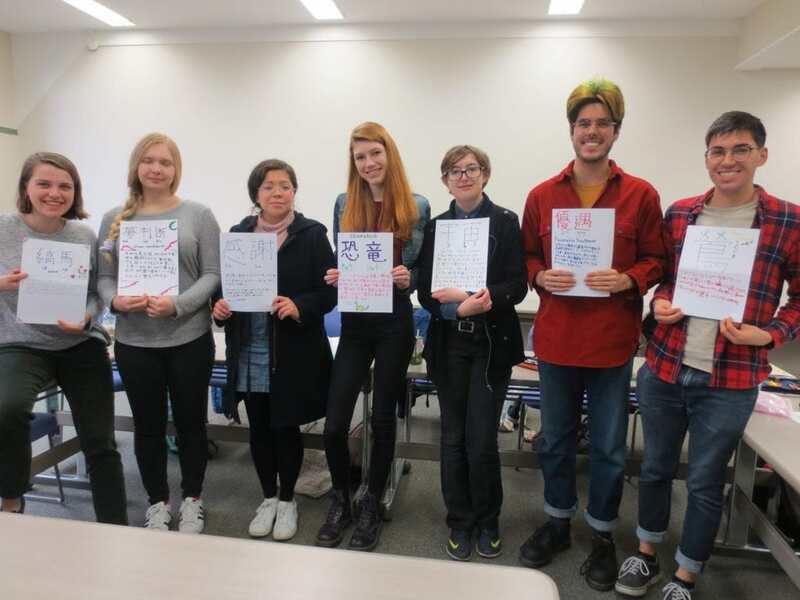 Today in the Japanese elective course Kanji Terakoya, students chose their favorite kanji and did a short presentation. 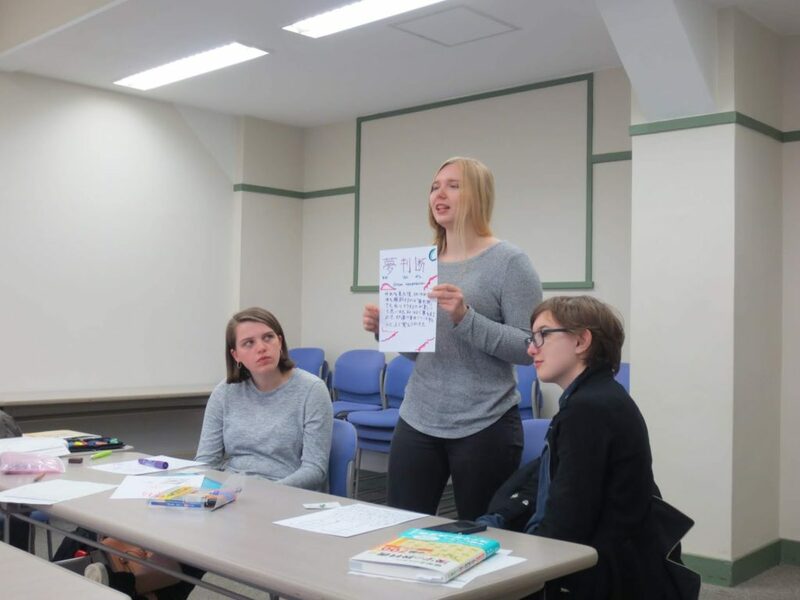 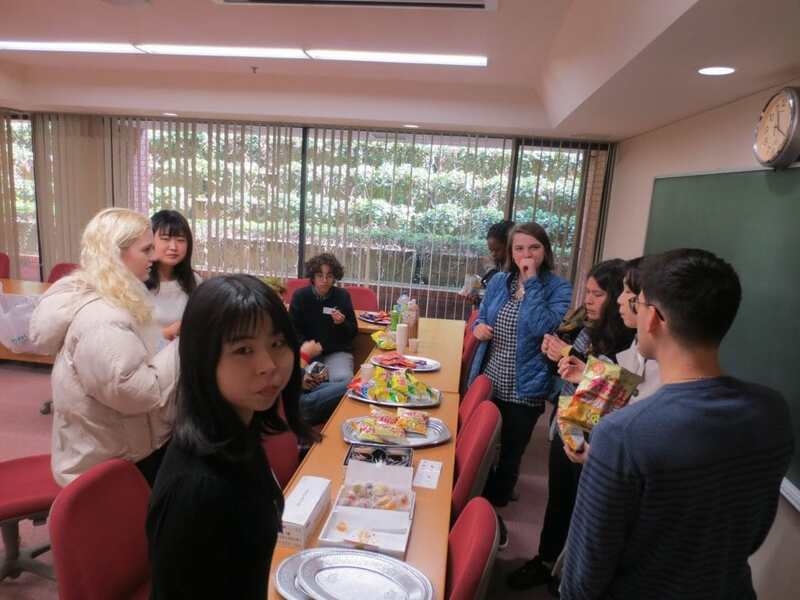 Today was the fourth session of the Japanese Language Table for Spring semester. 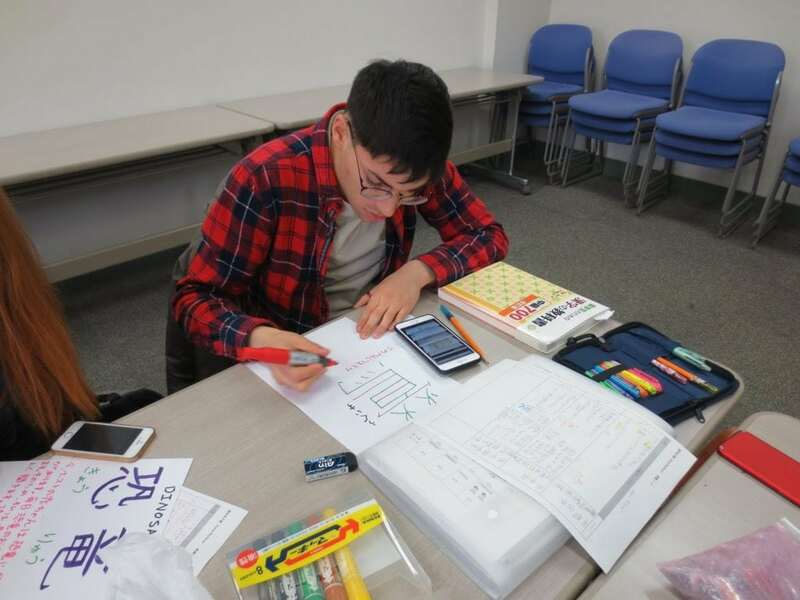 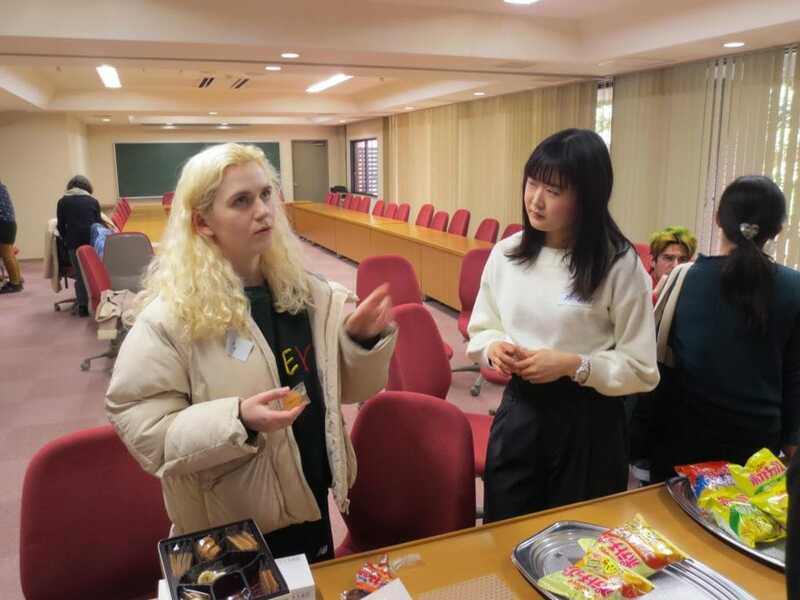 Although it was Spring Break at Doshisha, several Doshisha students joined in. 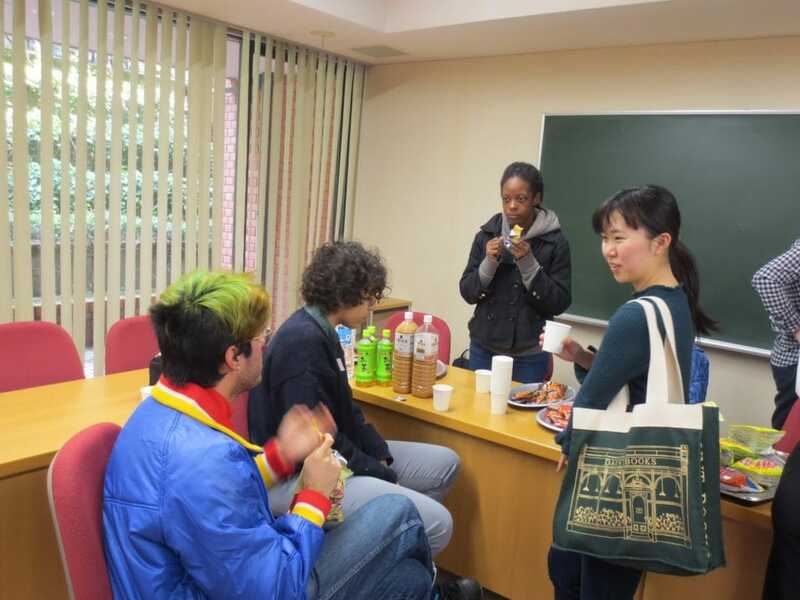 Our next Language Table will be a hanami (flower viewing) session! 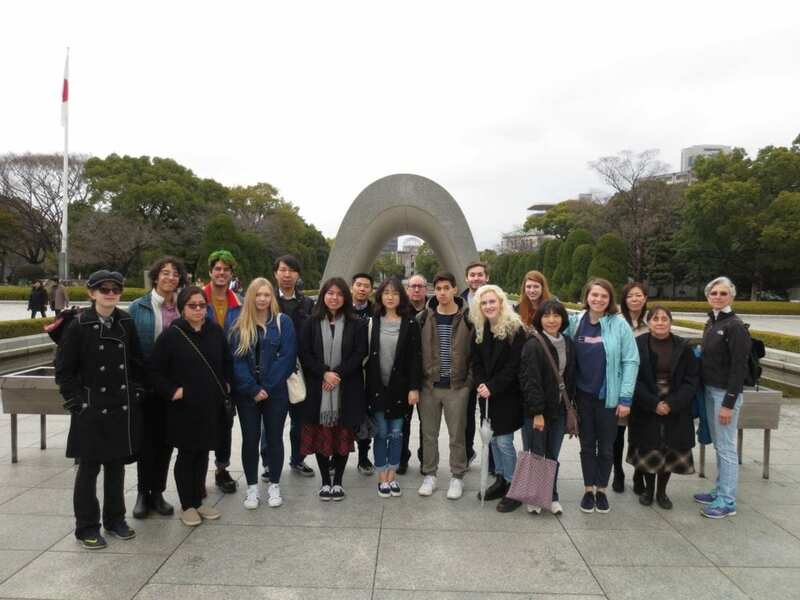 Let’s hope the cherry blossoms are blooming! 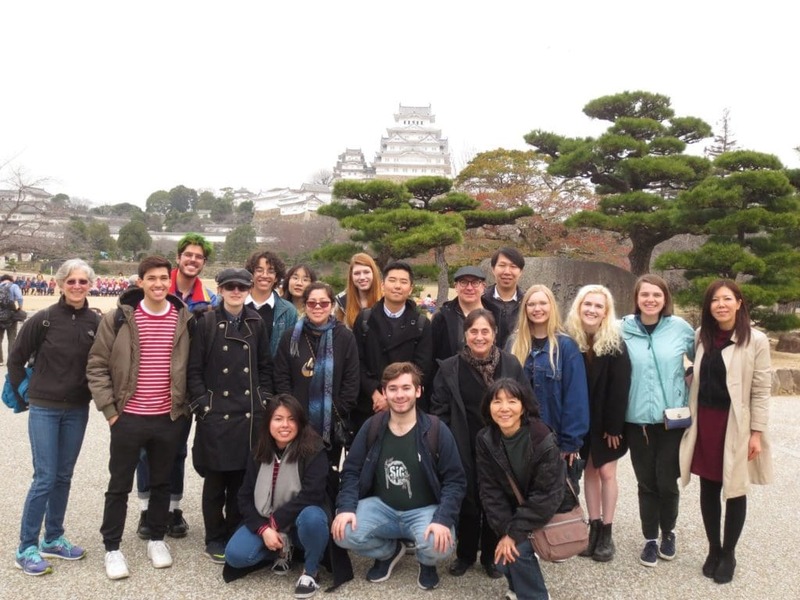 On March 6th, our Spring students set out on a field trip to Himeji, Hiroshima, and Miyajima.